You may have friends or relatives that like to keep an eye on nature and want to help conserve it. If you are looking to get some good vegan gifts for them, we have come up with a list of items that can make for a great surprise for those people. We will not be featuring clothes like vegan shirts in this article, but we will show you a couple of products that animal and nature lovers will like. Maybe using wood in your house doesn’t seem eco-friendly, but certainly bamboo is one of the fastest growing types of wood. So having a set of bamboo drawer organizers will serve both you and the environment well. These organizers will help you arrange your messy office, kitchen, dresser or kitchen drawers. The drawer divides are adjustable and expandable so you can fit them where you want. They are also easy to remove so you can customize your drawers as wished. The dividers come in packs of 2 or 4 and they need no extra maintenance: no covering them up with pieces of cloth. You just wash your organizers with warm water and if you want more durability you can optionally use bamboo oil. It is widely known that plastic grocery bags that you only use one time, are a big issue to the environment. Fortunately these bags are made to be used multiple times. They look a lot better, as well, and they fit more than you would expect. They are easy to carry around because they are collapsible. But despite this, the bags are considerably sturdy. The top quality, non-woven material that these bags are made of is pretty easy to wash. Between the material’s layers, the producers have inserted rigid pieces to reinforce and make the sides and bottom more durable. This set of wooden cutlery is a healthy and eco-friendly alternative to the old plastic cutlery and plates. It is totally disposable, and biodegradable, made entirely from natural smooth birch wood. Because of the material used, this set gives a rustic appearance, more elegant than plastic or paper. You can use more of these sets in special occasions such as informal dinner events, holiday parties, weddings, picnics, or even lumberjack themed parties. You can also get creative and use them with kids’ crafts. The set consists of 50 plates, 50 forks, 50 knives and 50 spoons and they are all intended for one use only. Usually, good notebooks have their cover made of leather. But not this one; this thick notebook from Lemome has a hardcover made of cork, a very natural, versatile and sustainable material. This notebook is thus a nice gift for any vegan. The thread-bound lay-flat design makes it easier for you to write, read and enjoy your handwriting with no distractions. The pages are all micro-perforated so they are easy to tear off and archive. This functional and stylish notebook comes with a well-sewn and elastic pen holder, an expandable pocket, an elastic closure strap and a ribbon bookmark. These wool dryer balls are an alternative to one-time use products and dryer sheets. While other options can leave chemical residue inside drying machines, these balls are safe and natural and they shorten drying time by 25%. With the reduced drying time comes reduced energy consumption and thus a better impact on the environment. They also last for a thousand uses or more. While they are used in the dryer, they help to lift and separate the laundry and absorb moisture and so they dry the clothes, leaving them with less wrinkles. For the mother that wants to keep her baby safe and maintain nature in a perfect state at the same time, this reusable swim diaper fits just right. This diaper saves money, is really cute and helps protect the planet. This elite-level, premium product, is washable and adjustable between 8 and 36 pounds. It can be used for 3-month-old to 3-year-old babies and toddlers, respectively. The diapers also come off easier than other similar products and are less dirtier. The swim diaper is easy to clean and it doesn’t contain absorbing materials. When swimming, you don’t want your baby’s diaper to absorb the salty water. 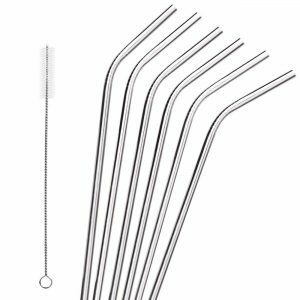 Another gift for people that dislike using plastic is this pack of six stainless steel drinking straws. The set, that includes a cleaning brush, is non-toxic. The straws can be used for smoothies, shakes, juices, iced coffees, basically any type of drink that you would use a straw for. They are made from stainless steel, like cutlery, so they are resistant to rust or corrosion and also durable. Use these straws for a better impact on the environment and help reduce the usage of plastic straws that cause pollution. The straws come with a curved angle design that will help you drink easily and will show no need to be frequently adjusted. Whether it is a rugged outdoorsy type or an idealistic tree hugger, we all know someone who has a special preoccupation with nature, who likes to be around it and who wants to keep it as it is for future generations. The nature lover’s special affinities might impose a couple of problems when looking for the perfect gift for them, especially since they are a larger and larger demographic, with many companies fighting for their buck. If we aren’t ourselves experienced with hiking or other such activities, we might give our friend something entirely useless for him when out on the trail. Likewise, if we aren’t aware of the latest certifications in the field, we might make the grave mistake of gifting our ecologically minded friend with something toxic to the environment. That’s why the first thing to consider is what are the things that people who share the same niche interest as your friend have to say. How they tend to see things, what they like or dislike about particular products, etc. The best way to do this is by consulting the various internet hubs that nature loving people tend to congregate in. But if you’re in a hurry for some quick eco-friendly gift ideas, feel free to check the guide below! What type of nature lover are you dealing with? This is the first question you should be asking yourself since nature lovers come in all shapes and sizes. We did, however, manage to isolate two main archetypes, who despite having a lot of things in common, are different enough to solicit separate attention when gift giving. The outdoorsy type loves hiking, mountain climbing and generally being around trees, rivers and other such features of unmolested nature. He does care about the environment more than your average Joe, but he also understands that certain compromises must be met in order to maintain a modern standard of living. He takes care not to leave garbage around the campsite but isn’t particularly bothered about fishing or even hunting as long as these are done responsibly. The “environmentalist” type tends to lean more towards the social side of things. He does, of course, enjoy a good outing but is more preoccupied with keeping the whole ecosystem out of harm’s way by his everyday actions. They tend to be preoccupied with environmental causes, sometimes to the point of political militantism, and with their own impact on the environment. As such, they prefer organic food, locally made products, eco-friendly appliances and would make prime candidates for receiving vegan gifts in eco-friendly gift bags. Just like everybody else, nature lovers appreciate receiving gifts they could use while engaging with the object of their passion. Probably any nature lover would like some camping equipment, such as a tent or a new sleeping bag. Or something which will aid him in contemplating the great outdoors and finding a path through it, like a small scope or a pair of binoculars. If the friend in question is already a well-versed outdoorsman, you should skip any of the basics and go for something he or she might have not considered buying. For example, flint, to start a fire, is generally missing from most nature walker’s backpacks. The less adventurous nature lovers might prefer plant seeds, gardening tools or other such implements that will help out with a backyard organic farm. Small scale organic farming has really taken off lately, both as a means to supply one’s family with certified organic produce and as a relaxing hobby that doesn’t take too much effort. Even if your friend isn’t already into it, he or she is sure to appreciate the suggestion. This comes to add to the above paragraph. Regardless of where they stand on the outdoorsman-environmentalist spectrum, nature lovers aren’t really big consumers of commercially available goods. They enjoy being thrifty, finding new applications for things they already own, buying used items or building things by themselves. This doesn’t just help reduce their environmental impact but also gives them a sense of self-sufficiency. Towards this, everything that will help support their DYI will be greatly appreciated. Think about books of home-made recipes for household products (window cleaners, toothpaste, soap, fertilizer etc.) or books on traditional plant remedies that they’ll get to make out of all the herbs collected while out camping. 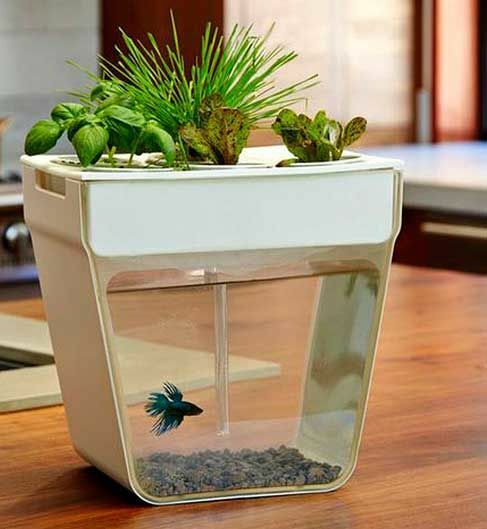 Potted plants could also make for some cool eco-friendly gifts, especially if you are going to present them to your friend as a mean to reduce the CO2 in his or her apartment. 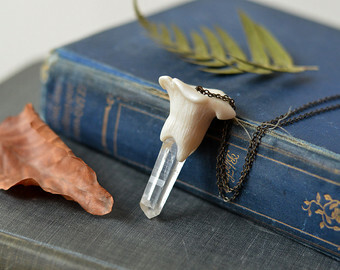 The best eco-friendly gifts should have a minimal environmental impact. There are a lot of things to consider here, and not all of them obvious. For example, an electrical appliance might be advertised as particularly energy efficient. But considering the energy cost that already went into producing it, is it really worth buying it just to replace a less efficient, but still functional one? You also have to pay close attention that the intended gift has the appropriate ecological certification. Often times manufacturers and retailers simply staple an “eco-friendly”, “chemical free” or “non-toxic” label on their products without it being in any way supported by an appropriate institution. Although this practice is obviously dishonest, nothing makes it illegal as long as the product in question passes standard safety regulations. That’s why you should always look for a label from an authoritative third party organization that specializes in assessing the environmental impact of consumer goods. There is a number of these, such as Green Seal, which evaluates the potential harm a given product might have on the environment. The Scientific Certification System (SCS) takes a broader approach, factoring in things like sustainable forestry, organic ingredients, and recycled content. The US Environmental Protection Agency offers the Energy Star certification to appliances that pass its energy saving requirements. The Canadian government runs its own Ecologo certification program that is also recognized in the US.